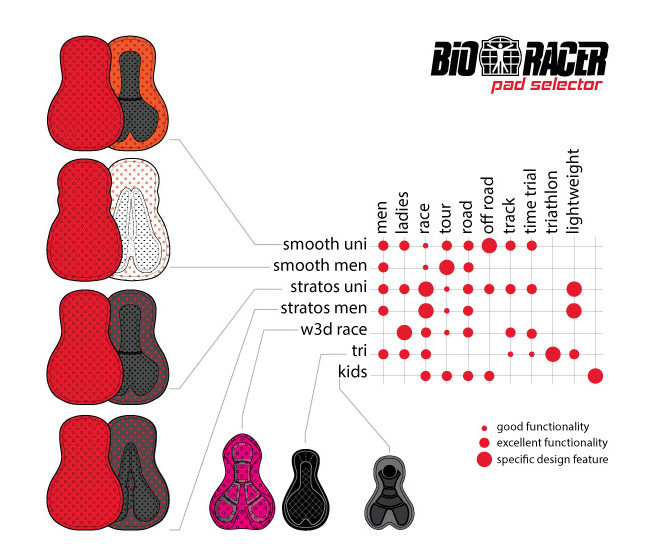 Thanks to data analysis from hundreds of studies of seats, Bio-Racer has successfully developed cycling pads with a level of comfort that far exceeds that of the competition. The use of new materials in various densities, an Air Channel that provides additional ventilation to the seat, Dimple Layer Technology… These are just some examples of the scientific innovation that allows our pads to help the racer sit comfortably on the seat even in the most extreme conditions. production method where one pre-assembled monolith block is 3D cut in an anatomic shape without use of glue or thermo formation.